Despite recently facing some serious health problems, Boosie Badazz has been on a roll of late. After issuing his second mixtape of 2016 just the other day, the rapper has revealed a new video clip for Out My Feelings (In My Past)'s "Problems." Set at an auto wrecking yard, the video finds Boosie dropping bars between shelves of discarded car parts or from the top of crunched vehicles. There, he reports on various dust ups, complications with cops, and other assorted problems. 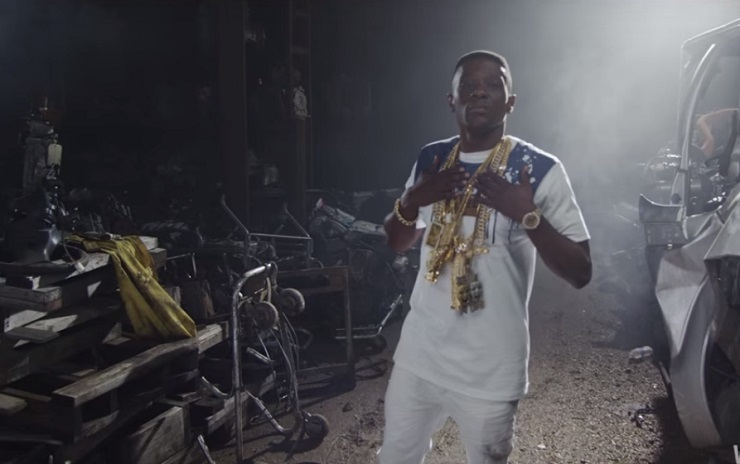 You'll find the increasingly prolific Boosie Badazz's latest clip down below.